Swimming pool water testing can help to create a more comfortable swimming environment in Hickory. Swimming Pool Water Testing in Hickory – Are you ready to open your pool for the season but you aren’t sure if the water is safe for swimming? Have you had some storms recently, and you want to make sure your swimming pool water is still at the right pH levels? Swimming pool water testing at regular intervals is important for the safety of everyone who uses your pool during the swimming season. At S & H Pools, we can assist you with swimming pool water testing, so you feel confident your pool is in great shape. Safe – Having the proper chlorine and pH levels in your pool ensures that bacteria and other germs in your pool water are killed. Swimming pool water testing lets you know if you need to make adjustments to your chemicals so the chlorine and pH levels are safe. Comfortable – Have you ever been to a pool where your eyes burn and your skin feels more sensitive? This could be due to unbalanced pool water. 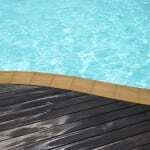 Swimming pool water testing can help to create a more comfortable swimming environment. Protected – The proper pH levels in your pool not only protect swimmers, but also help maintain your pool liner, ladders, and other pool equipment. Your pool equipment will last longer with consistent swimming pool water testing. When you need assistance with swimming pool water testing in the Hickory, North Carolina area, give us a call at S & H Pools. With over 150 years of combined experience in the swimming pool business, we know how to make sure you have the best experience with your swimming pool products and equipment from year to year. Contact us today to learn more or to schedule service.